Covenant residents may enjoy 68 acres of beautiful open space and nature at the Rancho Santa Fe Arroyo property. Located on the southeastern boundary of the Covenant of Rancho Santa Fe and along the San Dieguito River, the Arroyo provides a natural open space buffer from developments located further to the east. The property contains several different habitat types including wetland species, non-native grasslands, eucalyptus woodlands and upland areas. The Arroyo features trails for hiking and horseback riding, a small fishing pond, and an area for overnight tent camping, which is popular with residents who have younger children. The Coast-to-Crest Trail, a 70-mile connection between Del Mar and Julian, runs through the Arroyo property. A permit is required for camping and is available at no cost to Covenant residents. Please contact the Rancho Santa Fe Association at (858) 756-1174. 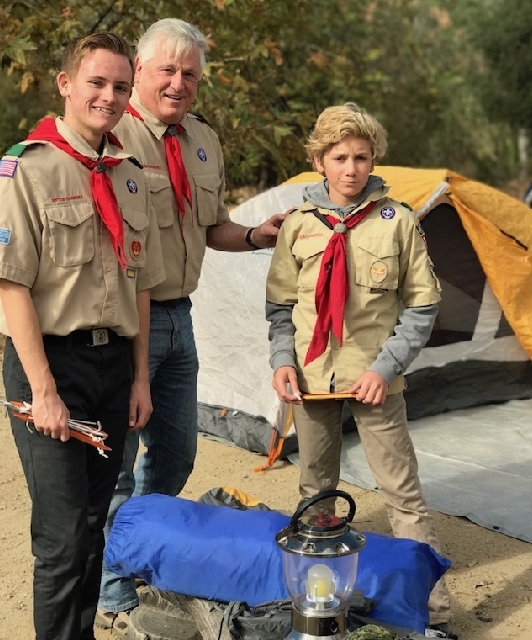 In order to have a camp fire, a separate permit is required with the Rancho Santa Fe Fire Department.